If you’re striking off on your own, travelling through un-trammeled wild jungles, a machete is a must, being one of the most important tools for your survival. It’s what allows you to travel through thick vegetation and is invaluable in setting up camp and other tasks. Just make sure you know how to use your machete, they’re dangerous and exhausting to use if you have no practical experience or knowledge of how to use one. For most people though, a pocket knife, or even a smaller fixed blade knife is better. It’s a useful tool for doing small repairs, cleaning fish, carving tools, first aid and so much more. 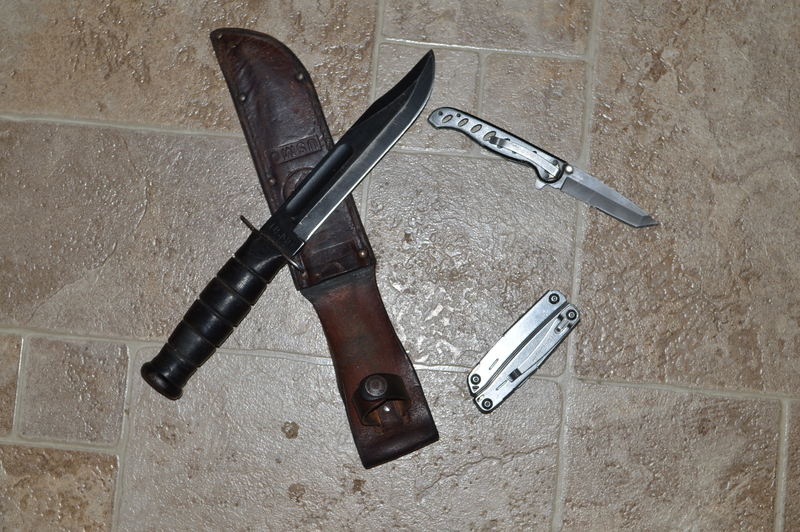 Even if you have a machete, consider bringing a multi-purpose pocket knife as well. Personally, I always carry a leatherman.